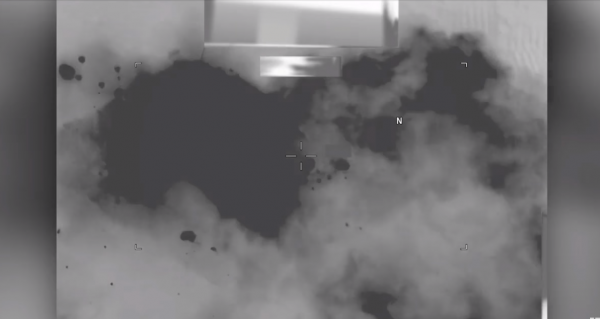 In Feb. 2018, the U.S. military’s command unit in charge of Middle Eastern forces sent out a U.S. MQ-9 Reaper drone, which demolished a Russian-made T-72 battle tank operating in eastern Syria. The U.S. said the move was done in self-defense. 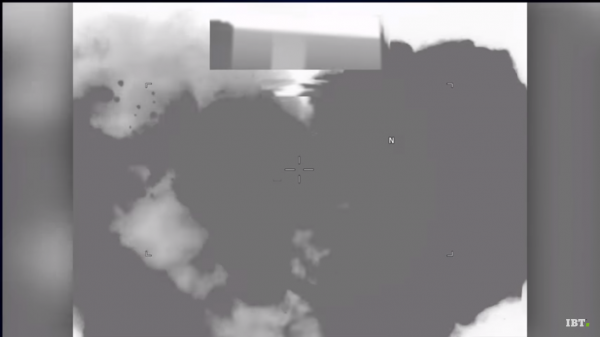 The Department of Defense released the video of the drone striking and destroying the tank. The video is short, just 18 seconds long, but it is powerful and shows the strength of the U.S. forces and their allies. “The U.S. forces on the ground called in coalition strikes for more than three hours, involving not just F-15E fighter jets but MQ-9 drones, B-52 bombers, AC-130 gunships and AH-64 Apache helicopters to fire munitions and conduct strafing runs,” Reuters reported. Three individuals inside the tank were killed but no American troops or their allies were injured. Lieutenant General Jeffrey Harrigian, top U.S. Air Force general in the Middle East said, “We detected and saw a tank that took a shot at us,” according to the Hill. “It continued to move, so we again executed self-defense rules of engagement to protect ourselves. And I believe, again, that’s something we always have the right to do and will make sure we’re in a position to do. As the hostile forces turned west and retreated, we ceased fire,” Harrigian added. There were unconfirmed reports that Russian military contractors were driving the tank and that this wasn’t the first time. On the same day, an Iranian drone was shot down over Israel. This strike forced a retaliatory attack by the Israeli Air Force into Syria against Iranian and regime targets. Officials said the T-72 battle tank was part of the “same hostile forces” that launched an attack on U.S. special operations troops and allied Syrian fighters just a few days before, killing around 100 people. During that attack, “U.S. special operations forces and allied Syrian fighters came under attack by a group of 500 Assad regime-backed fighters equipped with tanks, artillery and mortars,” Fox revealed. The attack happened near a de-confliction line between US and Russian/Syrian backed forces.